The month of joyous celebration and goodness has arrived. Whilst we rejoice at its advent, let us stop for a moment and try to imagine what Ramadhaan is like for the less fortunate Muslims throughout the world. Do they relish happiness and bliss in the company of their relatives and beloved ones like we do? Or do they suffer from the painful silence and neglect of their nation? All over the world; Palestine, Syria, Somalia, Libya,Yemen, Burma, Bosnia, Iraq, Afghanistan, France………………. the heart of the Ummah bleeds anew every day. To the Ummah all over the world who are facing poverty, war, oppression, hunger, persecution, imprisonment and identity suppression, DO NOT DESPAIR! Allah has not forgotten you, the hardships you face only beautifies your Jannah more and more with each trial. Rasulullah Sallallāhu Alayhi Wasallam has said that the believers are like one body, and that if one limb is in pain, then the whole body becomes restless. Here are some practical tips on how to assist our brothers and sisters this Ramadhaan, and possibly even all year round, Insha Allah. 1. DUA! DUA! DUA! Dua’s can be sent from anywhere in the world, and the Most Merciful will still hear it. When we make Dua, it is only natural that we ask Allah Azza Wajal for the best that we can think of. Let us extend this to the entire Ummah.Rasulullah Sallallāhu Alayhi Wasallam has said: “The Dua of a Muslim for his brother (in Islam) in his absence is readily accepted. An angel is appointed to his side. Whenever he makes a Dua for his brother the appointed angel says, ‘Aameen. And may you also be blessed with the same.’ [Sahih Muslim].We can also pray Salaatul Haajat for our brothers and sisters and ask Allah Azza Wajal to send his Nusrah and help. 2. Locally we can sponsor an iftaar or sehri for a family. Support local services when sponsoring weekly groceries for these community members. If finances are a concern, then perhaps join with other families in the drive to assist the underprivileged. 3. We need to declutter our homes and our lives. Honestly though, just how many pairs of gloves, scarves, jerseys and linen do we need? If we aren’t using certain items, then share them with those who may need it more than you. Encourage the little ones at home to also learn charity. 4. Pay your Zakaah and Sadaqah with a happy heart and always make Shukr for what you have. Never make the recipients of Sadaqah or Zakaah feel inferior because you are sharing with them. Do not be haughty or pitiful toward them. Be kind and merciful, and Allah Azza wajal will be merciful unto us. 5. Allocate an allowance to be given to a needy cause, eg: feeding scheme, medical supplies, groceries, utilities, school fees etc. This can also be done on an international scale through Muslim aid agencies. Some institutions offer the service of monthly debit orders or cash deposits. R 50 may not seem like much to us who live lavish lifestyles, but believe me it may make a HUGE difference to somebody out there. 6. Support our brothers and sisters emotionally. We can write literature or talk to people to create awareness and promote the cause of those that are defending our Deen. “And remind, for indeed the reminder benefits the Believers.” [Quran 51:55]. Let us honour their families and orphaned children, because their sacrifice is truly GREAT. 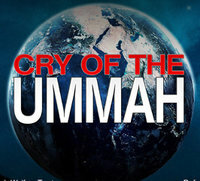 The Muslims are ONE Ummah.We should assist our fellow Muslims in their time of need with all we have.Its time we wake up and take heed to the plight of our Ummah.If we fail to support our fellow Muslims in their time of need, then we are sinful of being neglectful of our duty to the Ummah. May Allah Azza wajal protect us all. Ameen. So Dear sister………….What’s your plan? MashaAllah great article! We as Muslims really need to stand up and take action… especially in the case when our brothers and sisters are being oppressed by the kuffar. We are going to be questioned by Allah on the Day of Qiyamah as to why we did not rush to their aid. May Allah save us from being of those do nothing whilst our very own brothers and sisters are being massacred in front of our eyes, ameen. Your article is so inspiring.Allahu Akbar jazakumullah for reminding.